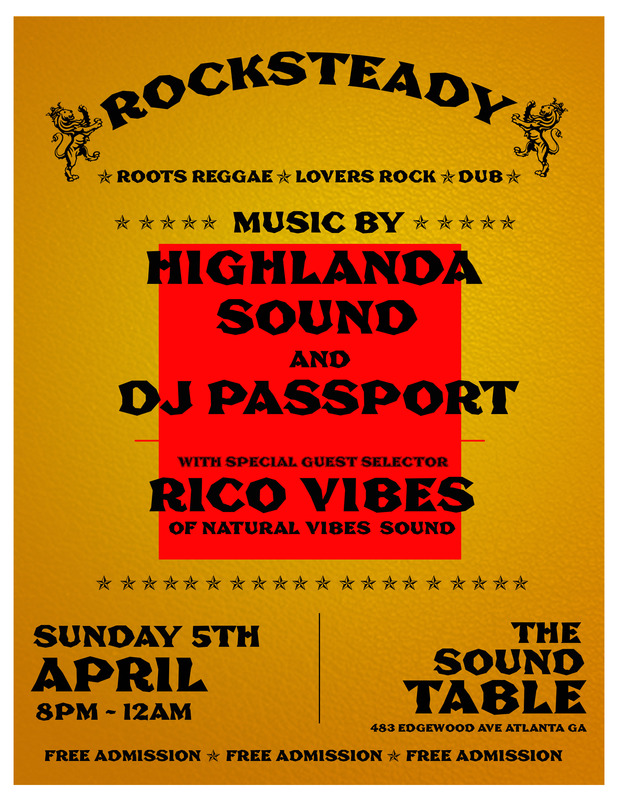 Be there Easter Sunday April 5th as veteran selector Rico Vibes from Natural Vibes sound and Da Flava Radio.Com returns to the Sound Table for a special classic Reggae music set alongside Highlanda Sound System and DJ Passport. Doors open at 7pm, music turns up at 8pm, and admission is complimentary all night. Early arrival, as always, is strongly suggested for #RocksteadyATL.